At the 60th Grammy Awards this past weekend, Janelle Monáe made a speech in support of the #Timesup campaign. She stated, “Tonight, I am proud to stand in solidarity as not just an artist, but a young woman, with my fellow sisters in this room who make up the music industry — artists, writers, assistants, publicists, CEOs, producers, engineers, and women from all sectors of the business…” Key word here, assistants. But it isn’t just in the music industry. Assistants make up the backbone of all industries. We see the entertainment industry finally taking a strong stand. But, there are countless industries that don’t have award shows to verbalize or visualize their stance. They don’t have a red carpet opportunity to wear all black or carry a white flower or wear a pin. It begs many industries to ask, okay times up, but now what? Bonnie has now been an advocate against bullying for decades. She has coached thousands of assistants around the globe about building cultures of respect and leadership in the workplace. Together, we work with Bonnie to peel away at these detrimental issues within the executive assistant career and how we can all work together to take next steps. First, let’s discuss what workplace bullying looks like for an assistant. It includes psychological, physical, and sexual abuse or harassment. According to a study, Effects of Workplace Bullying on How Women Work, the central problem for women being bullied is they cannot return to business as usual. To clarify: Sexual harassment is only one form of workplace bullying. There are several stages one goes through when being bullied in the workplace and each stage has psychological implications that pull the victims focus and productivity away from work. In the initial stage, the victim recalls “being less productive because they were second-guessing their work, questioning their abilities, experiencing anxiety, and having reduced self-esteem.” They justify the actions of their bullies in attempt to be “peace-keepers” by excusing them from responsibility to their actions. Secondly, women in this position either validate perceptions or explore other employment options. Validating perceptions include, “[believing], in time, bullying will stop on its own, possibly when bullies move or retire, especially if they or bullies are nearing retirement or if transfers or promotions are possible.” If that doesn’t work, many explore other employment options or drop out of the workforce all together. According to the study, assistants who have been bullied might experience PTSD, in part because they self-identify so strongly with their work. The reality is that executive assistants are valuable assets to their company and their executive. As an extension of their executive, they hold knowledge about many valuable stakeholders. They are costly to replace, not just in money, but also in time. Why is workplace bullying important to your company? Because it’s affecting the bottom line. It’s pushing talented women and men out of companies only to go to work for the competition. It’s affecting our global population’s mental health. 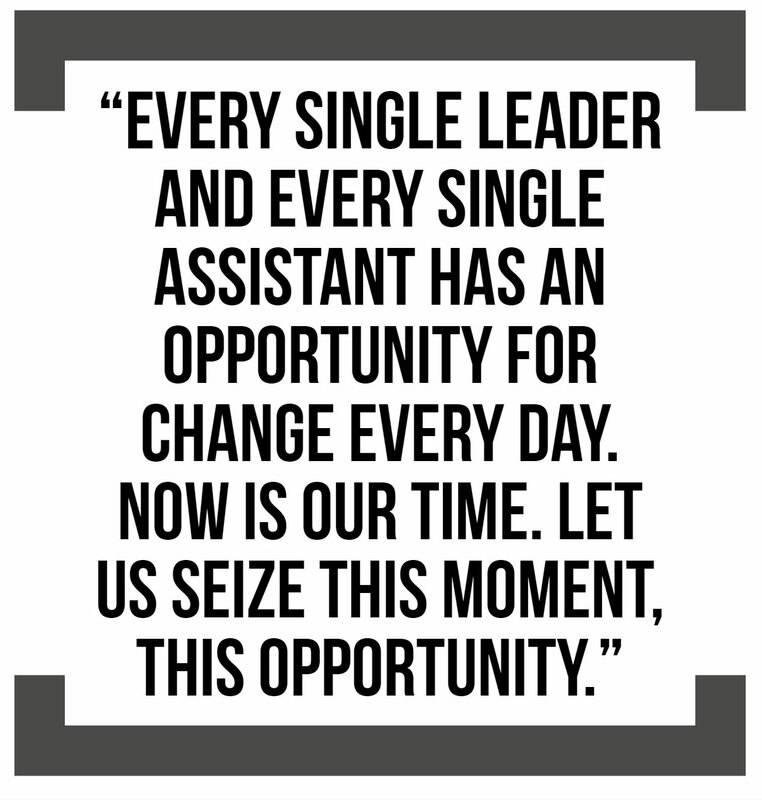 The change starts here and it starts with assistants who can wield tremendous influence on their leaders. “We take in the weight of this moment in time, in history. Women and men assistants have an extraordinary opportunity to use their influence to effect positive change in their companies. After all, assistants see and hear everything. It’s time for them to say honestly what they see,” explains Low-Kramen. The first step is to be informed. No change can happen if no one knows a change needs to occur. Psychology Today explains, “Leaders need to be informed about bullying, about the huge costs, including both the physical and psychological effects on targets of bullying, and the negative impact on workplace climate and productivity.” In most cases, bullying occurs behind closed doors. It’s the first step for us to come forward and inform our leaders and our companies that there is a problem. It’s also your responsibility to be informed of what your company’s policies are. Know not just what they say on paper, but how they handle their policies in practice. Challenge your company to update their policies and ask them how they implement them in practice. Draft a Code of Ethics for both employers and staff. “Change begins at the top. A commitment to education and training is needed to recalibrate expectations and our company cultures,” explains Low-Kramen, “Harassment, bullying, and abuse need to be met with zero-tolerance policies which assistants can help to create.” We need to hold our leadership accountable for the ultimate benefit of companies. Transparency and accountability are helping companies with the bottom line. Happy and healthy workers means higher productivity, decreased turnover, and overall, increased revenue. Doesn’t every company’s leaders want that? At the Executive Leadership Support Forum, alongside Bonnie Low-Kramen, we are breaking down walls. We are having the hard conversations. Experts are sharing best practices. We are taking strides forward. 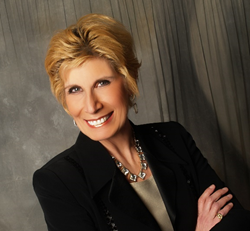 The Executive leadership Forum is proud to partner with Bonnie and other inspiring women leaders at the ELS Forums. Giving attendees the platform to speak without hesitation is what sets the Executive Leadership Support Forum apart. The Executive Leadership Support team is endlessly thankful for all of the past, present, and future attendees. Jordan Hensel is the Marketing Manager for the Executive Leadership Support Forum. She works with expert instructors and educators to create timely and resourceful content for executive assistants across the globe. She’s worked with industry leaders such as Bonnie Low-Kramen, Patrick Healy, Al-Husein Madhany, Melba Duncan, Lucy Brazier, and Vickie Sokol Evans. She travels North America attending executive assistant professional development events to keep up with trends and to deliver the most relevant content.